Ripping through the rapids and feeling the cool spray on your face is the ride of a lifetime, and an amazing adventure to experience with family or friends. 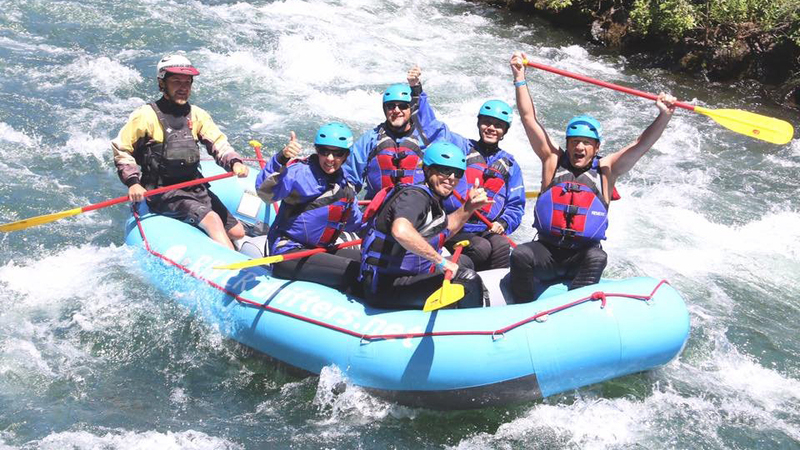 Based in Maupin, River Drifters has been sharing the thrill of rafting in Oregon and Washington for more than 35 years. Their team of highly qualified river guides take care of all the details so that you can soak up the full whitewater rafting experience, breathtaking views, and unique wildlife along the way. The team operates from March through October and leads groups of all skill levels on rafting adventures through six rivers in Oregon and three in Washington; each selected for their navigability, scenery, and technical segments. Whether you book a mellow part-day excursion to enjoy with younger children or a multi-day trip down some of the most challenging rapids you’ve seen, River Drifters’ goal is to make sure you have an amazing time that brings you back for more. For a more serene river experience, River Drifters also offer SUP tours on select routes. And every tour includes amazing food prepared by the team so you are fueled up and ready to go. Visit the website to book the adventure that’s right for you and your group.